Daphne is from Huejutla de Reyes, Hidalgo. México with a degree in Graphic Design from UVM. Her paintings are mostly of pets and portraits. Daphne has painted in the following countries: Italy, Germany and the United States of America. Carlos is from Monterrey, Nuevo León, México with a Bachelors of Visual Arts from U.A.N.L. 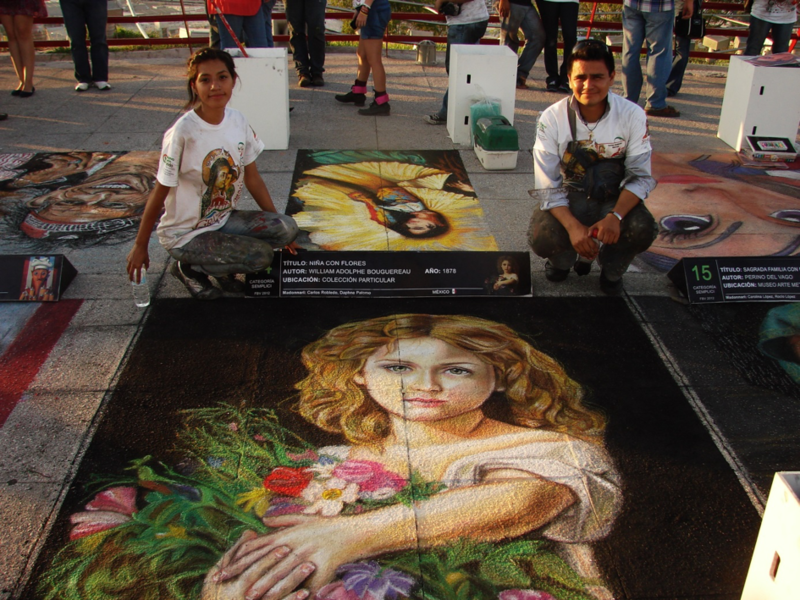 He currently works in the Municipality of San Nicolás de Los Garza, Nuevo León, where he is a Coordinator of Urban Art, working with a group of Volunteers, painting murals on the main avenues of the municipality. He has painted in the following countries: Italy, Alamannia and the United States of America. Carlos likes to paint portraits and human figures.